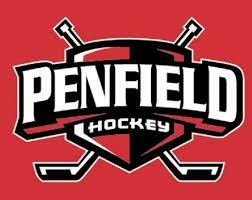 This past Tuesday, Janosz Goaltending Student Lindsay Browning played in her first boys varsity game for the Penfield Patriots. And while Greece may have opened the scoring, holding a 3-1 lead deep into the third period, this story would not end there. The Patriots would even things up forcing OT where they would ultimately come out on top 4-3. Browning’s poise between the pipes, and out of her crease for that matter, was present throughout the back and forth affair. Confident coming out to play the puck, Browning was also very vocal with her teammates, calling out open plays and odd-man situations. With 21 saves on 24 shots, it was a strong first outing for Browning! With skill and strong intangible characteristics on display, things can only get better from here for Browning and her teammates. She really has given a new meaning to play like a girl. Which, in essence, means nothing more than playing your game to the best of your ability, regardless of your gender and who you’re playing with or against. We are very proud and wish Lindsay the best of luck the rest of the way this season!